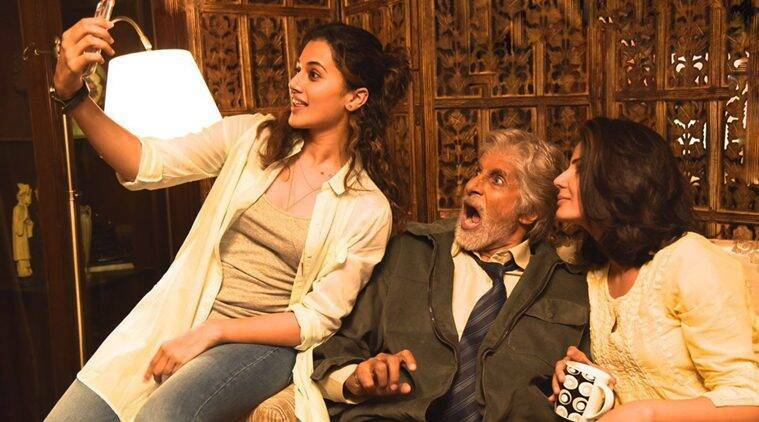 Taapsee enjoys a light moment with Amitabh Bachchan while shooting for their upcoming film in Delhi. Baby actress Taapsee Pannu is finally back from her US trip and has joined megastar Amitabh Bachchan in Delhi for the shooting of their upcoming movie. The actress, who is more than excited to work with Big B, is also happy to shoot for the film in her city. This is the first venture wherein Amitabh Bachchan will share screen space with young Taapsee. Seen in the picture above is the actress enjoying a light moment with Big B. This session of selfies happened on the second day of shooting. The film is being directed by National Award-winner Aniruddha Roy Chowdhary.